Swiss fashion magazine Annabelle organized a few days ago the Annabelle Swap - a swap of clothes and accessories. 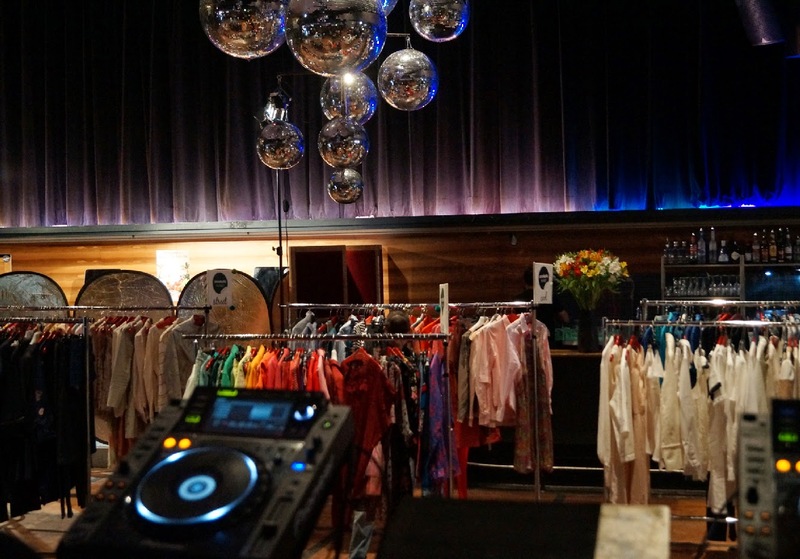 Nothing better could happen to me, because after my spring-cleaning of the closet I accumulated two gigantic bags full of T-shirts, dresses, handbags and about 10 pairs of shoes, which I swapped happily at this event and got even some more trendy and exclusive pieces. Švajčiarský fashion časopis Annabelle zorganizoval pred niekoľkými dňami (už neviem koľký v poradí) Annabelle Swap - swap oblečenia a doplnkov. Nič lepšie sa mi prihodiť ani nemohlo, pretože po jarnom upratovaní šatníku sa mi nahromadili dve obrovitánske tašky plné tričiek, šiat, kabeliek a asi 10 párov topánok a tie som mohla na Annabelle Swapu vymeniť za nejaké iné trendy kúsky. 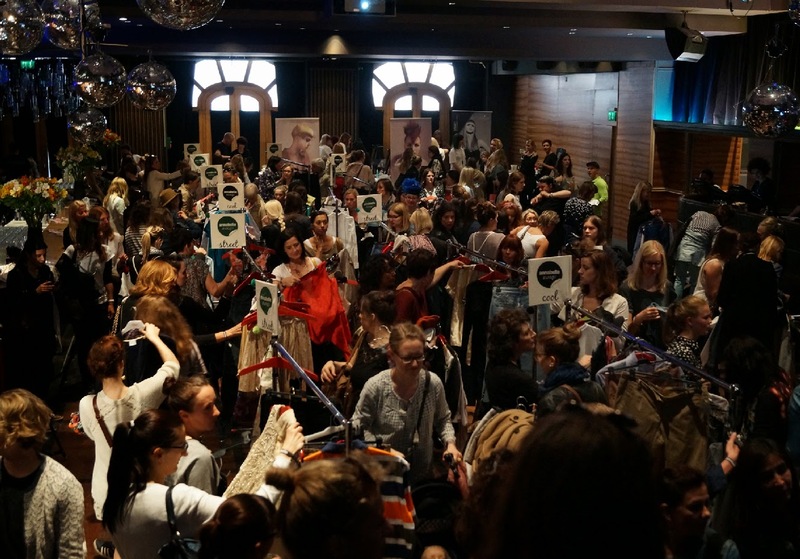 According to a credible source, the swap attended 800 female readers, fans and fashionholics. It was a necessary to stand a good half hour front of the door of Zurich´s club Kaufleuten, where the swap was held. Who did not wait, did not lost a lot, but lost everything. At the moment of opening a door all swapers caught a total hystery and in less than five minutes were all the hangers empty. Podľa vierohodného zdroja sa sSwapu zúčastnilo 800 čitateliek, fanyniek a fashion-holičiek. Dobrú polhodinku si bolo nutné vystáť, až sa dvere curyšského klubu Kaufleutenu, kde sa swap organizoval otvoria a kto tak neurobil, nielenže prišiel o veľa, ale prišiel o všetko. V momente otvorenia dverí prepadla všetky swaperky totálna histéria a za necelých päť minút boli vešiaky prázdne. I managed to grab a beautiful brocade dresses Saint Tropez, sports dress from Zara, brand new shoes Guess and Zara, two necklaces and purse Commes des Garcon. Stihla som schmatnúť krásne brokátové šaty Saint Tropez, športové šaty zo Zary, novučičké topánky značky Guess a Zara, dva náhrdelníky a kabelku Commes des Garcon. After a hectic swap was necessary to refresh yourself with a drink Café de Paris, relax in one of the chairs and let to improve your image by the hair stylists from the salon Shy+Flo and professionals from Maybelline. Were you ever on similar swap? Po hektickej výmene sa bolo nutné osviežiť drinkom Café de Paris, oddýchnuť si v niektoróm z kresiel a nechať sa vylepšiť vlasovými štylistkami zo salónu Shy+Flo a profesionálkami z Maybelline. Boli ste niekedy na podobnom swape? <33333 cute i love it ! I love a good swap! It's been a while since I've been to one, but they are so much fun! You know what they say-one man's trash is another man's treasure! So in April, my husband and I had our wedding reception here and we both have no regrets with choosing this venue. This place is so beautiful.